The Tampa Bay Pro-Am Foundation, Inc. has announced that the event formerly known as the Outback Steakhouse Pro-Am, the premier Champions Tour event, is returning in 2012 with the new name Tampa Bay Pro-Am. In addition, Tampa Bay Lightning have been added as host of the 2012 golf tournament. This partnership, born out of a mutual commitment to serving the Tampa Bay community, will join together two professional sports properties in the area, officially making it the Tampa Bay Pro-Am hosted by Tampa Bay Lightning. Through this co-promotional marketing partnership Tampa Bay Lightning Day will be added to the schedule of events, as well as, free grounds admission will be offered to Tampa Bay Lightning season ticket holders. The 2012 Tampa Bay Pro-Am hosted by Tampa Bay Lightning celebrates the tournament’s 25th year of existence, April 9-15, at TPC Tampa Bay. “The Tampa Bay area has continued to produce one of the most thriving and unique experiences on the Champions Tour. Our professionals look forward to playing in this event and city each year. 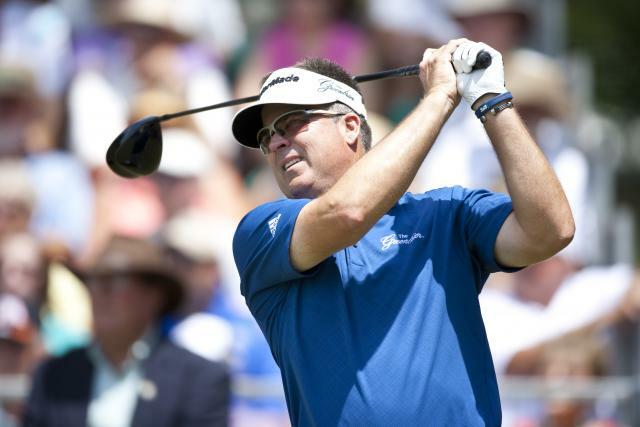 We are excited to be coming back here in 2012 and we look forward to continued success in the Tampa Bay market with the Tampa Bay Pro-Am,” said Champions Tour President Mike Stevens. Tournament officials are still seeking a title sponsor for the 2012 event and beyond, however, through additional support from Tampa Bay Lightning, Tampa Bay & Company, and existing sponsors, the tournament will kick off its 25th year in the Tampa Bay area. As it moves forward without a title sponsor, the event is looking for support from the entire Tampa Bay community to insure its continued success and longevity. "The Pro-Am will carry on the reputation of providing the best hospitality, fan interaction and party atmosphere on the Champions Tour,” said Amy Hawk, tournament director of the Tampa Bay Pro-Am hosted by Tampa Bay Lightning. “Spectators’ will continue to feast on food from the various OSI Restaurant Partners, LLC concepts (Outback Steakhouse, Carrabba’s Italian Grill, Bonefish Grill), as well as, Lee Roy Selmon’s. We will work hard to continue the tradition of hosting high profile celebrities and the best professional golfers on the Champions Tour in Tampa this April,” concluded Hawk. As always, there will be a full slate of celebrities playing in the tournament, including: Ronde Barber, Derrick Brooks, Craig T. Nelson, Joe Theismann, and Lightning Founder Phil Esposito, who will also serve as the Honorary Chairman of the event in 2012. The 2012 Tampa Bay Pro-Am hosted by the Tampa Bay Lightning will take place on April 9-15 at TPC Tampa Bay in Lutz, FL. Tickets are available for purchase by calling the tournament office at 813-265-4653 or visiting www.tampabayproam.com. If you have never been to this tournament before, let me tell you that it&apos;s awesome! The atmosphere is phenomenal, and you get to see some really good golf...and usually some really funny moments. So have fun and let us know how it was! Maybe I&apos;ll see you out there. Until then, keep checking back here for more info on great things to do in Tampa Bay and other Tampa Bay area events. oh, and thanks to Michael Heape Photography for the photo of Kenny Perry!